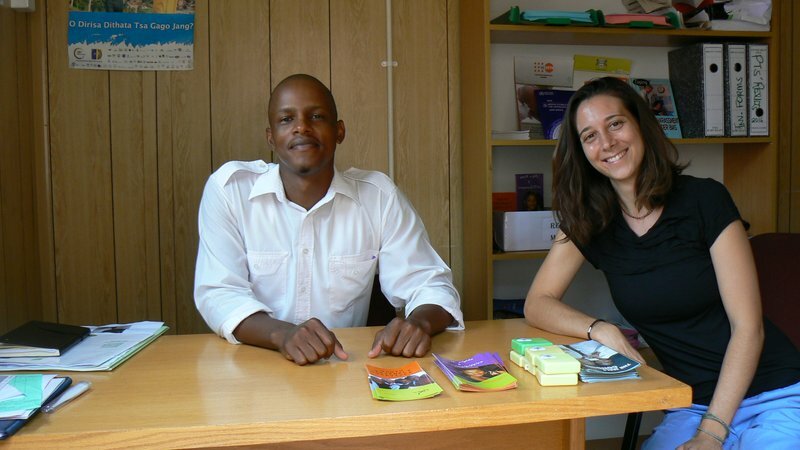 When Peace Corps Botswana Volunteer Katherine Shulock first arrived in her village, local health providers wanted additional support to address a growing amount of young people in their community becoming HIV-positive. In collaboration with the district’s health management office, Katherine supported the health team to recruit a youth-friendly nurse, identify an appropriate space for the clinic, and collect essential medical equipment to provide comprehensive sexual and reproductive health care to young people. 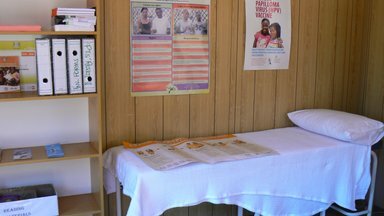 Through the new facility, the health management team aimed to provide services such as HIV testing and counseling, STI management, family planning, and counseling. Katherine and Baolopi Thamuku, a local nurse, began conducting outreach visits to promote the new clinic’s services and sourced donations to support the project. A local NGO donated a small office and neighboring clinics provided basic medical supplies. In November 2016, the Youth Friendly Clinic opened to the public. According to Nurse Thamuku, “Our young clients face many challenges [such as] an increased risk of exposure to HIV and other STIs, an inability to ask for and receive accurate information and services about SRH due to tradition, culture, and religion, gender issues, and the pressures of the modern, global world to access money, get material things, and help support their families. I see the clinic helping with these issues, primarily in providing the clinical and educational services young people lack access to, as well as complementing other community-based services which help the young person developing into a healthy and responsible individual." A view of one of the clinic's patient consulting rooms. Future plans include offering weekly workshops on SRH topics, developing a peer-educator program, and getting a phone. The clinic serves as a best practice for the country and fits within the larger context of the Ministry of Health and Wellness’ efforts to provide youth with more accessible, youth-friendly health services across Botswana. There are more than 185 Volunteers in Botswana working with their communities on projects in youth development and health. More than 2,610 Peace Corps Volunteers have served in Botswana since the program was established in 1966.